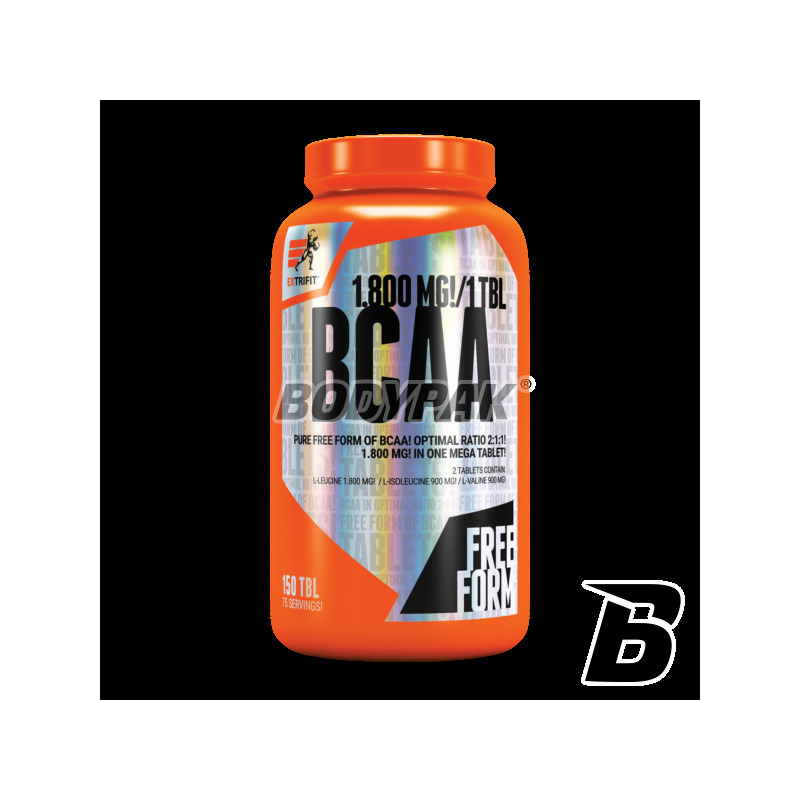 Amino AcidsExtrifit BCAA 1800mg 2:1:1 - 150 tabl. 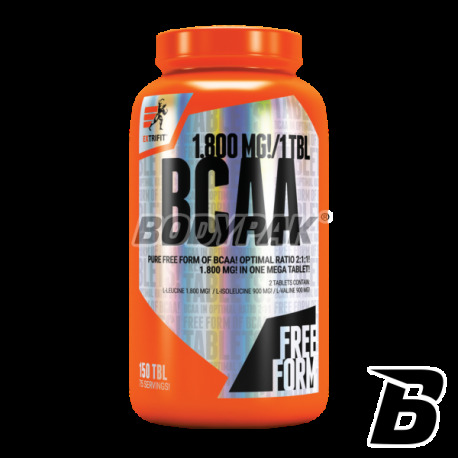 Comfortable BCAA amino acids in the form of concentrated tablets (up to 1800 mg per tablet)! Convenience and high product quality are the characteristics that distinguish this product from the competition. If you are thinking of BCAA in the form of tablets - reach for precisely this product and will not be disappointed. UNTIL 1800 MG AMINO TABLET! BCAA branched amino acids are among the most popular on the market, not without reason - protects virtually 100% your muscles against catabolism post-training. Extrifit company introduced to its offer tablets, which you will find not 500mg BCAA as competitors and as much as 1800mg! With such a high concentration of amino acids in one tablet will not have to worry about their swallowing. The manufacturer took care to isoleucine, leucine and valine present in the form of "free" - and therefore as individual amino acids, so you absorb it much faster and penetrate into the bloodstream to nourish and protect your muscles. Reach Extrifit 1800mg 2: 1: 1! Ingredients: leucine, isoleucine, valine, magnesium stearate. Solidna zawartość bcaa w każdym tabsie... a samo działanie taki jak każdego bcaa - regeneracja i poczucie lepszej definicji mięśni!